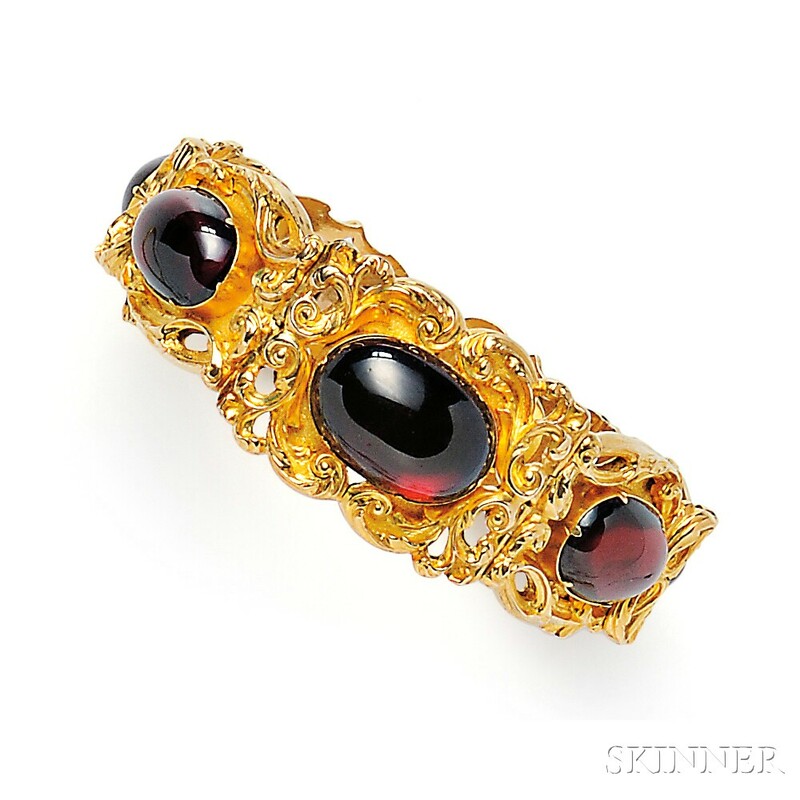 Antique Gold and Garnet Carbuncle Bracelet, c. 1835, with bezel-set oval cabochon garnets within textured mounts with scrolling foliate frames, lg. 6 5/8 in. One link bent, visible from reverse ande side, not obtrusive. Holds acid for 18kt, may be 15kt with a bloom.